Following a bout of ill-health for Cathryn, we are having to postpone our early April 2019 shows on her Doctor's non-negotiable orders to rest! 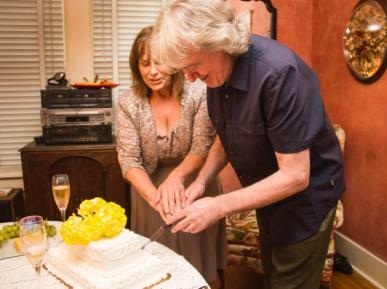 We are hoping she will be able to take part in the Strawbs' 50th Anniversary concerts at the end of April in Lakewood, New Jersey USA. We are looking forward to our return visit to the B.A.N.D. 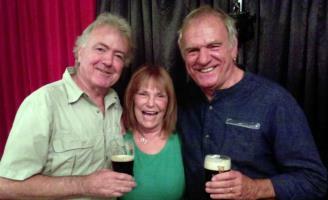 Festival in Dunfanaghy, Co.Donegal, on June 21st and all our shows later in the year. Thursday 13 December - 10.00 a.m. to 12.00 noon. Cathryn and I are delighted to announce we are to be represented by Lorraine Carpenter of Different Strings Music Agency! 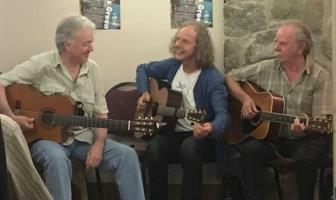 2018 saw us breaking new ground in Ireland, with The Belfast Nashville Songwriters Festival, Fiddler's Green Festival, Omagh's American Folk Park Independence Day Festival and Donegal's B.A.N.D. Festival in Dunfanaghy. We also toured the UK extensively and were invited back to Madame Guitare Festival in Tricesimo, Italy and to the English Folk Club in Spain. We have written material for a new album and “played it in” on our recent tour. The emphasis is on more "chorus" songs, which went down very well, with audiences singing along and we’re looking forward to recording them, for release in 2019! 6 weeks! Wow, that was a long tour, but all the performances were really enjoyable, with brilliant singing audiences and lots of new faces. Our new songs went down very well and we’re looking forward to recording them, now that they’re “played in”. We’d like to thank everyone who came out to see us and the organisers who did a great job in promoting the shows. 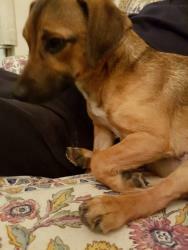 Here’s to the next outing in spring 2019, although that will involve a less punishing schedule and less time separated from our little dog, Rosie! We've always enjoyed playing in Italy and our second invitation to the Madame Guitare Festival was no exception! Wonderful venues, both in the civic theatre and the town square, brilliant hospitality and world-class fellow performers, made for a memorable weekend. 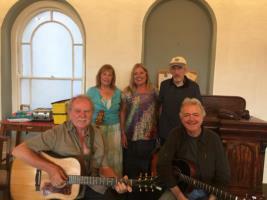 After a wonderful run of summer festivals, both in England and Ireland (I think the photos show the fun we've had recently, playing with The Sands, Ralph McTell and Irish legend Shay Healy), we're looking forward to a busy September and October. With return visits to Spain, for the English Folk Club in Torrevieja and to Italy, for the Madame Guitare Festival in Tricesimo, we'll be ready to tour England and Scotland and we look forward to catching up with you all, somewhere during the hectic schedule! After a brilliant spring tour, rounded off by a rousing return to Wath Festival, we're gearing up for summer festivals, in Counties Donegal, Tyrone, Humberside and Down. We've written new songs and we'll be recording them soon, with new pals. A big "thank you" goes out to all the promoters and audiences who came to see us in April and May and we look forward to meeting friends old and new in June and July. We had a wonderful time at The Belfast Nashville Songwriters Festival weekend... On the Friday evening, we had a concert in our own right...On Saturday morning we were guests on BBC Ulster's John Toal Show, followed by an invitation to accompany Benny Gallagher and Graeme Lyle on The Gerry Kelly Show...Saturday evening saw us singing and playing with Benny and Graeme on their sell-out concert...On Sunday afternoon, the four of us performed together again, this time with Benny and Graeme joining in on our material, too! Our spring tour begins on April 12th - see gigs page for full details of upcoming shows. We're looking forward to meeting old friends and new on this next UK trip, so please come and say "hello"! January 2018 Happy New Year to everyone! We're excited about our show at The Belfast Nashville Songwriters Festival, on Friday 9th March and we'll also be taking part in an "In The Round" session with other songwriters, on the afternoon of Sunday 11th March. A mini-tour starts 12th April and ends on 6th May at Wath-upon-Dearne Festival, where we will be opening the evening concert featuring Barbara Dickson. Full details on the gigs page. The B.A.N.D. Festival in Dunfanaghy, Co.Donegal, has invited us back again this year, and we'll be playing in the beautiful Holy Trinity Church on Friday 22nd June. We have new songs in the pipeline and we can't wait to be back in the studio. This year has seen us cover a lot of miles! Touring, plus moving house, has had us up and down the UK almost as if our car bumper was attached to a long-distance lorry! Punitive ferry costs and ever-upward-spiralling motoring expenses have left us considering the purchase of a helicopter, although we’ve got to get Cathryn a UK driving licence before putting her in for her pilot’s exams. We’ve had a fantastic run of shows throughout the year and we thank everyone involved, from promoters to sound engineers, to faithful audiences. Support from radio DJs has been brilliant and our song “The Cooley and Mourne” has earned significant airtime. Val Monteith-Towler has done a sterling job in maintaining our website and organising tour dates for us, in between ukulele classes and marathon country walks! We look forward to the next tour, starting in April, by which time, we should have some more recordings under our belts, with the help of our new musician friends in Ireland. Wishing everyone a happy Festive Season and great times in 2018! 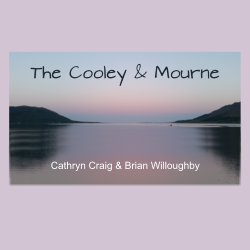 November 2017 "The Cooley & Mourne"
Our new song "The Cooley & Mourne", featuring Ben Sands, Colum Sands and Brendan Monaghan is now available to purchase. Available as a download only go to the Albums page for different options. Off we go on our autumn jaunt around the British Isles starting with Woodman Folk Club on the 20th (full details on the gigs page). We're looking forward to meeting old friends and new! Our new song, "The Cooley & Mourne", telling the story about Brian moving back to his native Northern Ireland, is recorded, mixed and ready to go. With Colum Sands engineering and co-producing, we also added his concertina and double bass and his big brother Ben is on backing vocals. On bodhran and Uilleann pipes, we feature the very talented Brendan Monaghan. After two great Irish festivals, B.A.N.D. in Co.Donegal and Fiddler's Green in Co.Down, we're back in England and Wales for a few shows. Check out our gigs page for full details of these and other gigs. Hope to see you there. Our new song "The Cooley and Mourne" is going down well and we've recorded it, adding Ben and Colum Sands on mandolin and concertina. In September, we'll add cello and whistles, before sending it out to radio DJs. After a brilliant Spring Tour we're heading off to Nashville for some studio recording with ours pals Reckless Johnny Wales and Bob E Baker, plus the odd guest appearance in the local with Brent Moyer and "Tall" Tony Laiolo. We've got some new material on the boil and we're looking forward to involving some of our new Irish pals in recording it on our return. The exciting festivals BAND in Dunfanaghy, Co Donegal and Fiddler's Green in Co. Down are looming and we hope they'll lead to further shows in Ireland. Also, we'd like to welcome the lovely Val as our new representative - see Contact Us. Here's to meeting up with friends old and new on our next jaunt! 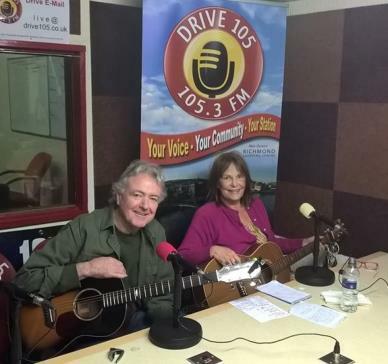 We thoroughly enjoyed our "For Folks Sake" radio show with Dessie Fisher on Drive 105.3 in Derry, on April 4th! Dessie is a great, informed interviewer and we could easily have spent twice the time, talking to him. Thank you to Andy Peters for the introduction! We are delighted to have been nominated in the "Best Duo" category for the Folking Awards 2017. Here's the link to the awards page and it would be great if you could vote for us: The 2017 Folking Awards (you need to scroll to the bottom of the page). After much to-ing and fro-ing, we're almost settled in our new home overlooking Carlingford Lough, in Co.Down, N.Ireland. We've had fantastic help from our team of builders, our neighbours and the locals in our newly-adopted watering holes. New songs are on the boil, mostly inspired by our new surroundings and soon, we will be posting short clips of ourselves, rehearsing the material, with stunning background views - keep an eye on our FaceBook page for more on this. The spring dates start on Friday and we're looking forward to meeting everyone over the next few weeks. On April 4th., we're doing For Folks Sake on DRIVE 105 (105.3fm), 'live' with Dessie Fisher, at 8.30 pm. After a very successful show for our new local Folk Club, Crawfords in Rostrevor, we're delighted to have been invited to play at The BAND Festival - Bluegrass And Nashville Dunfanaghy, Dunfanaghy, County Donegal, in June and Rostrevor's Fiddler's Green Festival in July. Hopefully, one of the spring shows will be in your area - please come and say "hello"! Let's hope 2017 is a great year for all of us! New songs, new venues and new friends are on the way and we've settled in to our new life in Ireland, surrounded by great music. 2016 was productive and we thank everyone who came to see us, or bought one of our records, either at a show or via the internet. 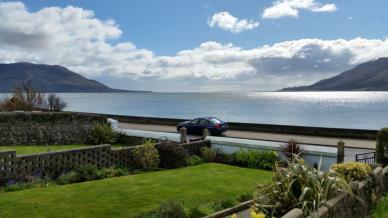 Val has done a sterling job maintaining this website and thank you for visiting! Hopefully, we'll see you at a show somewhere in your area this year! We’ve recently recorded a beautiful Christmas song which is written by Buddy Greene and Mark Lowry called "Mary Did You Know". You can listen to an extract here. The complete song is available to download from Amazon. We’ve been very busy flitting from London to our new home in Ireland, to Spain and to Nashville, where we both resumed our studio session careers, working on a new album by songwriter Reckless Johnny Wales. We’re now ready for our autumn tour, to promote the new ‘live’ album, recorded at St.Pancras Old Church in London, on the last show of our spring tour. We’re thrilled that “This Night, These Dreams and You” from the album, has been played extensively on several stations on the Blues & Roots Radio network! We’ve added two dates in Holland, one in Dublin and we’re looking forward to all the UK shows which kick off on the 21st October at Deal Folk Club. Check our Gigs page to keep up to date with where we are. Dublin City FM DJ Peter Grogan, has put together a charity record, in aid of ArtAid. World, a voluntary group of artists who use the arts to help fight HIV/AIDS in sub-Saharan Africa. We were invited to donate a track and “Alice’s Song” appears alongside offerings from several other artists. We hope you can come and see us somewhere near you on the tour! Bring a friend! July 2016: We got married! Last Friday - 22nd July - Cathryn Craig became... Mrs.C.Willoughby! We've been together for 19 years, but the triplets are due next month, so we thought we'd better make them legitimate. 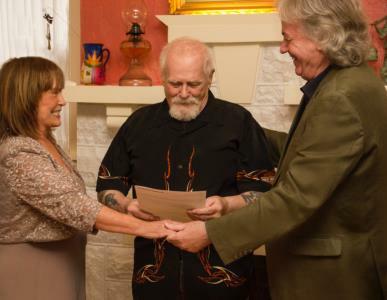 Our minister was The Right Reverend Phil Kaufman, RMD (Road Mangler Deluxe) and we had about 20 guests that we've known for over 20 years, here in Nashville. Our ring-bearers were Patti and Michael Snow and the photos were taken by Denise Fussell. The last show of our spring tour took place at St Pancras Old Church in London and was recorded live. We are thrilled with the results of the recording and we're very happy to be releasing the project as an album on 1st August 2016 - see In Concert Saint Pancras Old Church for more detail. This is a departure for us, as we have always preferred 'studio' to 'live' recording and we hope you like it! We're looking forward to next month when you can catch up with us at Broadstairs Folk Week and Saltburn Folk Festival - see our gigs page for more information. We are delighted that our new album In America is receiving such great reviews. You can read more about these here. 'In America' has been 'Album Of The Week' on Blues & Roots Radio, FATEA'S 'Along The Tracks' and in Ireland on Charlie McGettigan's Arts Programme on Shannonside Radio. Colum Sands on BBC Ulster did a half hour programme on us featuring the album and we've had significant play on RTE by Niall Toner and on Dublin City FM by Noel Casey and Peter Grogan. We're proud to announce our latest CD 'In America', featuring some of our most personal songs, recorded in Nashville this summer. The digi-pack design includes a 12-page booklet, containing lyrics and brief backgrounds to the material. You can order the CD from the Albums page or from the In America page where you can also listen to soundbites. The CD, or individual tracks is also available from iTunes and Amazon. Cathryn Craig is from Virginia and has built a strong reputation as both performer and songwriter. 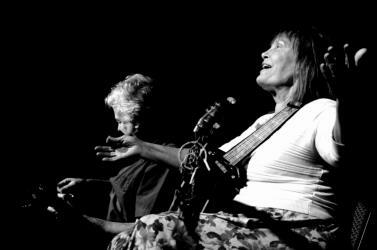 She has sung with Chet Atkins, The Righteous Brothers, Shel Silverstein and Jorma Kaukonen. Her great-grandfather Jacob Sowder was recorded by Cecil Sharp and is featured in Sharp’s book "English Folk Songs From The Southern Appalachians". 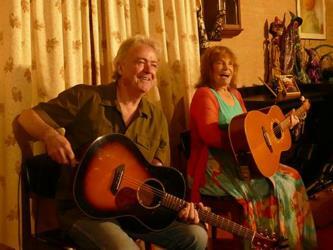 Brian Willoughby is best known for his virtuoso performances on electric and acoustic guitar, with progressive folk/rock band Strawbs and also with Mary Hopkin, Joe Brown, Roger Whittaker, Bridget St.John, Jim Diamond and Monty Python. 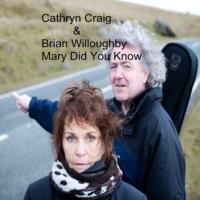 Both Cathryn and Brian have accompanied Nanci Griffith. “Alice’s Song” was an Aled Jones “Highlight of the Year” on BBC Radio 2. Cathryn was Simon Mayo's star guest on BBC Radio 2Day, live from Nashville. 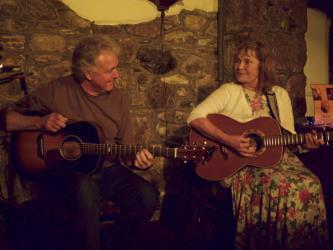 The Telegraph’s Martin Chilton named the duo as his “Folk Gig Pick” in 2015. August 2016 saw the release of a 'live' recording, In Concert, from St. Pancras Old Church in London. Thanks for dropping by. Rest a while here on our website where you can listen to our music, watch a video or two and see where we’re playing. “They catch a mood that could produce goosebumps on sheet metal"